Born in London, raised in Paris, and now living in the U.S., Brachyahu is a polyglot wandering Jew with a love of cycling and the outdoors. With a Chabad background, Brachyahu has studied in yeshivot in Israel, France and Canada, and in Brazil, where he worked as a shaliach for a year in Rio de Janeiro. Brachyahu has also worked for a number of years as a Judaic Studies teacher in Europe and Miami, FL. While at YCT, Brachyahu spent time in the Norwich and West Hartford, CT, communities. 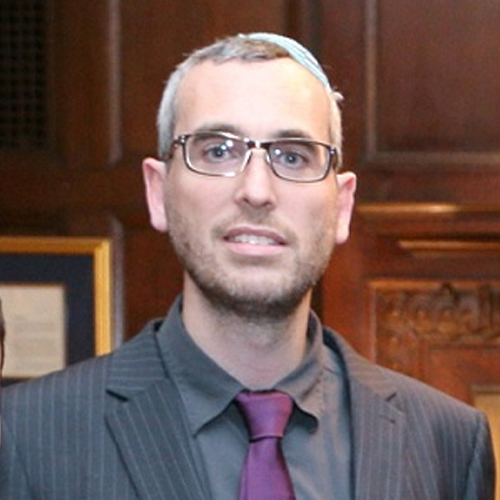 Brachyahu lives in Riverdale with his wife, Rebecca, and son, Ori. He is fluent in English, French, Hebrew and Yiddish.